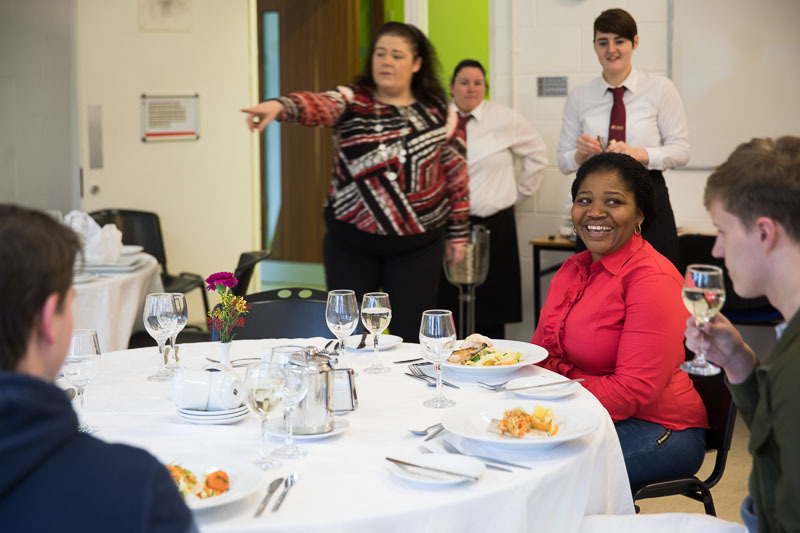 This full-time course is designed to prepare students for work in the hotel and catering industry. The course creates a learning environment, in which the emphasis is on the practical application of the skills necessary, to work in the dynamic and ever-changing sectors of food and beverage, accommodation and food preparation. Students will be given the opportunity to gain EHAI (Environmental Health Association of Ireland) certification in Food Safety. This certificate is valid for fiver years and is a legal requirement for anyone working with food in a range of sectors to hold such certification. Graduates of this course may find employment in hotels, restaurants, catering departments, cruise ships and airlines. Graduates will also be well prepared for further studies in the areas of hospitality, culinary arts, tourism and business.